"The Korean War: Forgotten Soldiers of a Forgotten War….No longer forgotten!" 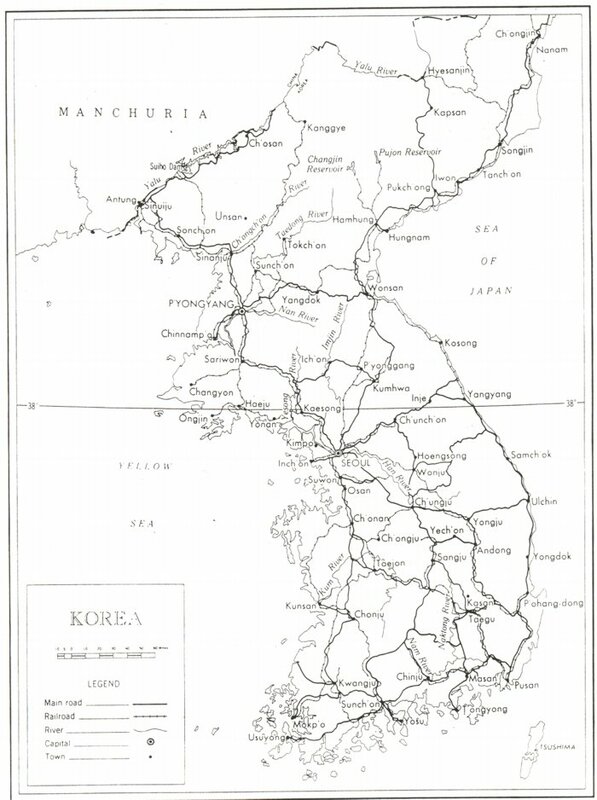 Over the years, looking at a multitude of books and articles on the Korean War, I noticed that the stated casualty statistics for Korea were all over the place. Some claimed that over 54,000 men died in Korea, some said over 60,000, others opined 27,000, 33,000, etc. Everyone and his brother seemed to have a different set of figures! So I started to investigate. I contacted a lot of agencies and individuals who were knowledgeable. I got a lot of help. What I finally concluded is contained in a study that I published in September 1998 and now is published in e-form on this site. Based on my research, I found that the best estimates at the time were that 36,651 men died in Korea from both battle and non-battle causes; and, another 17,355 died in other locations worldwide from non-hostile causes. My digging also provided me with an unexpected bonus! It enabled me to be able to ferret out the Army non-battle deaths by name and publish them in print, for the first time ever - anywhere! Naturally, I shared my research with officials at the Department of Defense, whose Directorate of Information Operations and Reports used the information to crosscheck and update their entire casualty data base, and to add over 2,000 Army non-battle casualties, which previously had not been listed. I also shared my work with officials of the American Battle Monuments Commission, who at the time were building a data base (Honor Roll) for an interactive computer system, which linked the ABMC with the kiosk at the Korean War Veterans Memorial in Washington, D.C. They were happy to be able to add hundreds of names which they did not have in their data base, or on the ABMC website at www.abmc.gov. And, the statistics have been of help to literally hundreds of individuals who have contacted me over the years with questions and requests for information - including authors, newspaper and magazine editors, and researchers. On January 1, 2001, the updated DOD roster hit the street! Prior to that date, Department of Defense rosters contained only Navy, Marine Corps and Air Force hostile and non-hostile deaths. Now, for the first time, over 2,000 Army non-battle casualties were officially listed in print. Since then, the Department of Defense has continued to work on the data base. As of March 2004, the statistics once again have been revised. As it stands now, the data base contains the names of 36,576 battle and non-battle casualties. A total of 17,670 deaths which occurred outside of the Korean Theater, and outside of the dates of the Korean War, June 25, 1950 and July 27, 1953, or elsewhere in the world, have yet to be published. The DOD is working with the Services to create lists. When, and if they ever are published, both the war deaths and the other worldwide deaths will total 54,246 - the number engraved on the Korean War Veterans Memorial in Washington, D. C.
As you read through this 1998 study, please keep in mind that even though the casualty stats have changed, you might find some of the statistics researched to be of some value. In addition, there may be other information in the book that you may find interesting, perhaps thought-provoking! The second edition of my book is no longer available in book form; there will be no third edition. The study has served its purpose. Pull up a chair, grab a beer, start reading and enjoy! Martin J. O’Brien, Augusta, Maine. May 6, 2004. Please visit The Cpl Clair Goodblood Medal of Honor Memorial. "I wish to personally thank you for furnishing me with your list of non-battle casualties. I had picked up all but 210 names from our record books….Thank you again for your exhausting work on getting the names off the microfilm. You made a major impact on the Kiosk and the [American Battle Monuments Commission] "Honor Roll." - Col. Frederick C. Badger, USA Ret. "[Letter to Rep. Susan Molinari] Please convey to Mr. O’Brien, our [American Battle Monuments Commission] appreciation of the extensive labor and dedication he has made to ensure that those who have made the supreme sacrifice so that others may live in freedom are honored." "Marty, have just finished reading your excellent "booklet," which is much more than that. You have truly done a tremendous job and I am sure it has taken a great deal of work and dedication. This is truly a magnificent contribution to the subject!" "Marty, I’ve just finished reading your Korean War manuscript—very masterful. Well done and obviously deeply researched and scholarly presented. I wish you luck in placing it in as many libraries and study centers as possible so it will be of maximum help to all who desire to enhance their knowledge of our Korean War and its ghastly costs in casualties among all of the participating countries." "Quite a book, Marty. Sorting out the numbers must have been an awful chore—but a real public service." "An outstanding production; very neat and well put together. I know that a lot of effort and emotion went into this excellent publication. I think it is an important historical document." "O’Brien’s book is superb; you have to go over it a thousand times and learn something more each time. You can’t digest it all at once, that’s for sure." "There are many myths and misunderstandings about the actual figures for Korean War casualties, but Marty O’Brien has checked, double-checked and searched out the truth. 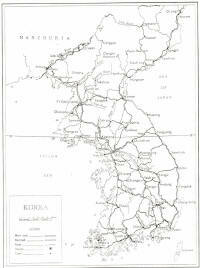 The Korean War Museum and Library strives for historical accuracy in presenting the facts about the Korean War to the men and women who served in it and to the members of the general public who want information about it. Marty does not claim that his information is one-hundred percent mistake-proof, but to date the O’Brien research is the best compilation of data the museum trustees [Korean War Museum & Library, Tuscola, IL) have seen on the topic." "I really enjoyed reading your book, and thanks to men like you and others we may some day close this chapter out for good in our lifetime." "Marty, you have really put a lot of time and energy into this. It really shows. It also shows a lot of compassion and dedication. Thanks. Quite a job you did." Dedicated to the memory of Corporal Robert M. Englehart, a boyhood friend. Bob, a member of Company C, 19th Infantry Regiment, 24th Infantry Division, was captured on November 4, 1950 along the Ch’ongch’on River near the Sinanju area. He officially was declared dead on August 17, 1951. Bob survived all of the early battles of the Korean War, only to die of neglect and disease in a brutal, godless Communist prison camp along the Yalu River. Corporal Robert M. Englehart, Regular army, died in a uniform he loved, for a service he loved, for a country he loved—and not too many Americans cared at the time. But, he and the men and women who served, fought, bled, died in that terrible war in Asia so many years ago shall never be forgotten by those who were there. 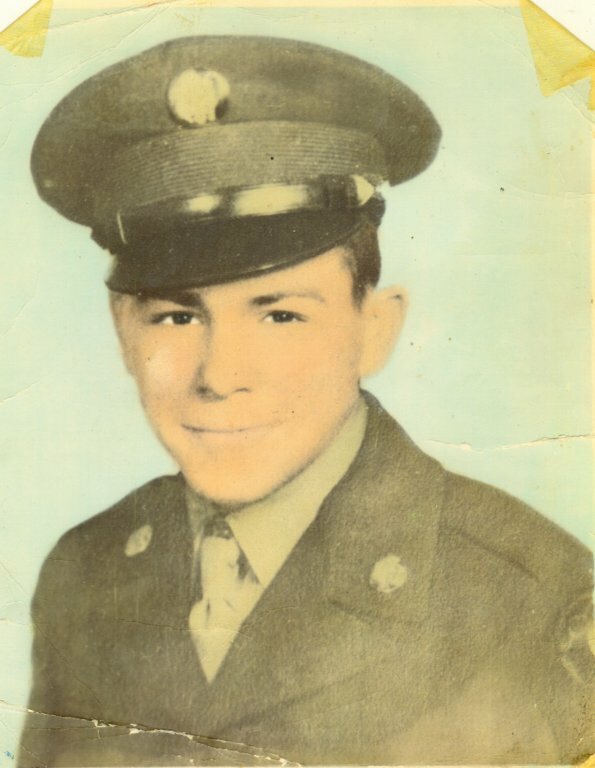 After basic training at Fort Dix, NJ, he was assigned to Company C, 19th Infantry Regiment, 24th Infantry Division at Beppu, Japan, and went to Korea with his company. He was wounded twice. He was captured by Chinese Communist Forces (CCF) on November 4, 1950. He died while a POW at CCF prison camp #5 at Pyoktong, North Korea. He died from pellagra and was declared dead on August 17, 1951 by the U.S. government. His actual date of death probably was around April 10, 1951, according to a fellow POW who saw him being taken to the camp "sick house", never to return. The first thing that the reader must understand is that this is not a book in the traditional sense. I prefer to call it a study in progress. My main purpose is to assemble my research and thoughts on the subject of Korean War casualties in one place. I originally started out to write a small booklet, but it soon became apparent that I eventually would finish between 200-250 pages. As the work progressed, it occurred to me that others might find my study useful in understanding some of the myths and mysteries surrounding the subject of Korean War casualties. So I have made it available to anyone who wants a copy—although it is by far not the ultimate last word on the subject. The information in this work is based on knowledge and data taken from a variety of sources; I have taken deliberate care to provide accurate and authoritative data and sources in regard to the subject matter covered to the best of my ability. The information presented is believed by me to be accurate, or it is believed to be accurate as presented by the cited authors, one or the other is true. However, no warranty, expressed or implied, is made by me as to accuracy, use or application of any of this information. The following people helped make this research possible; their assistance, knowledgeable advice, suggestions, encouragement and data are very much appreciated! EVERTS, John C., Staten Island, NY; a KWVA member, a good friend, whose initial success in securing a copy of the 1954 Department of the Army microfiche of Army Non-Battle casualties under the Freedom of Information Act, as well as coordinating contacts and resources, guaranteed the completion of Appendix II to this project. John now is in God’s hands. BADGER, Frederick C., Colonel, USA (Ret), Data Base Officer for the Korean War Honor Roll Project, The American Battle Monuments Commission, Washington, D.C., for using my list of Army Non-Battle casualties to update the Interactive Computer System at the Korean War Veterans Memorial, Washington, D.C.
BANKS, Arlene, Orono, ME, and her associates at the Fogler Library, University of Maine at Orono for cheerfully wading in to do the long and tedious job of photographing and compiling a hard copy printout of information contained in the Army microfiche set of Korean War casualties. CASEY, Charles E., Omaha, Nebraska, a KWVA member and author of "In Memory-Lest We Forget", a monumental effort to match casualties with units of assignment, who unselfishly gave of his time and his knowledge to answer a myriad of questions. CHILCOTT, Thomas, Brighton, MI, a KWVA member for forcing me to check, double-check and dig deeper. COHEN, William S., former Maine senator (R-Maine), for his personal help and the help of his staff; they greatly assisted me to gather a number of data from several government agencies under the Freedom of Information Act and arrange for microfiche services at the Fogler Library, University of Maine and the Maine State Library. COREA, Anthony N., Director, Operations and Finance, The American Battle Monuments Commission, Washington, D.C., for sending me information and rosters pertaining to data included in the Interactive Computer System located at the site of the Korean War Veterans Memorial in Washington, D.C.
COVINO, Lee, Office of the Borough President, Staten Island, NY, for his help in coordinating materials and resources. 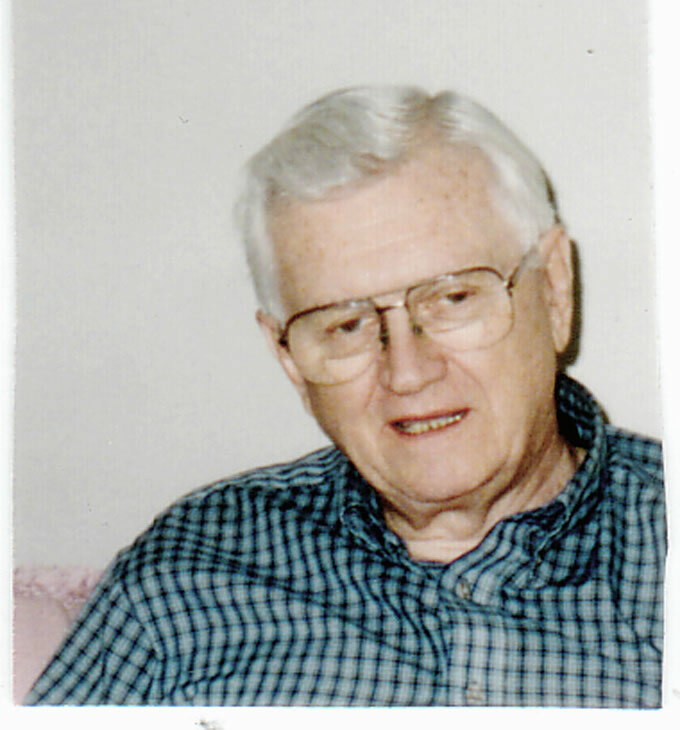 HADDEN, Stan, Harpers Ferry, WV, a member and past president of KWVA, and former editor of "The Graybeards," for his early and continual encouragement. HAGELIN, Burt Sr., Dover-Foxcroft, ME, a Korean War veteran, for his help and materials, and for steering me to look in the right places. HENLEY, CHARLES W., director, External affairs (POW/MIA Office), Washington, D.C. for information pertaining to Dr. Paul M. Cole’s work at the U.S. Army’s Central Identification Laboratory, Hawaii (CILHI). HOTHAN, William E., New Hyde Park, NY, a KWVA member, for insight, ideas and support in "The Graybeards". JORSTAD, Roger D., Director, Manpower Management Information Division, Directorate for Information Operations and Reports, Department of Defense, Arlington, VA for his patience in answering my numerous inquiries. MANNING, John F., Assistant Chief, Mortuary Affairs and Casualty Support Division, Department of the Army, Alexandria, VA, for information relating to returned remains. MOLINARI, Susan, former U.S. Representative, Staten Island, New York, for making sure that The American Battle Monuments Commission included my list of army Non-Battle casualties in their data base. 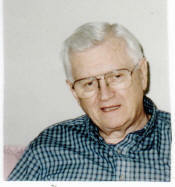 NEWMAN, Kenneth R., Williamsburg, VA, an old Army buddy, for providing me with a number of valuable, historical documents. NEWMAN, Murray, Documentary Reproduction Services, NYC, and a KWVA member, for generously volunteering his time and expertise to produce a much more readable Appendix II than otherwise would have been possible. PRATT, Sherman W., Arlington, VA, author, a member and past president of KWVA, and former editor of "The Graybeards", for taking the time over a period of months to offer valuable information and advice. RYAN, Colonel William E., Jr., former Director of Operations and Finance, The American Battle Monuments Commission, Washington, D.C., for providing me with a complete roster of U.S. Korean War dead whose remains are listed as MIA, lost or buried at sea or un-identifiable. SNOWE, Senator Olympia J., (R-Maine) and her staff for her help in obtaining materials from several government agencies under the FOIA. STRYSICK, Michael, Sheboygan, WI, a KWVA member, for helping me understand hemorrhagic fever issues. VANZANDT, Harry C., Clifton Park, NY, a KWVA member for sending me information and materials, and helping me to get off to a good start. WASHCO, John R., Mentor, OH; a KWVA member, for his help and assistance in helping the project along. WOLD, James W., Deputy Assistant Secretary of Defense (POW/MIA Affairs), Washington, D.C. for information relating to the identification of remains. ZEHR, Norman R., Golden, CO, a KWVA member, for also forcing me to look twice and dig deep when evaluating statistics. In addition, much thanks to numerous other Korean War veterans and others from all over the country for their kind words of encouragement, thoughtfulness, cogent insights and information. This is a work in progress, and I’m sure in time there will be many more people to thank. The Korean War, which followed five years of Cold War between Washington and Moscow, forced a test of will for the United States and developed into the first major armed "conflict" between the Free World and the Communist Bloc since World War II. It was a costly war for the United States. Officially, 54,268 men and women died in the Korean War and other operations across the globe during the period June 25, 1950 to January 31, 1955. Of that number, officially, 36,913 Americans died in Korea during the Korean Operation as a result of "Hostile" or "Non-Battle" causes, including over 8,100 KIA, MIA and POW whose exact fates remain un-revealed to their loved ones even today. Most, but not all, of the 36,913 Korean Theater "Hostile" and "Non-Battle" dead are listed in official files. However, the names of some 17,366 others who died outside of the war zone in support of the Korean Operation (Many who undoubtedly died in Korea itself) and other worldwide operations, for the most part, are not listed anywhere. The Department of Defense is on record as saying that it is not aware of any consolidated, detailed record set or listing of total worldwide Service casualties during the Korean War era; nor is it involved in any effort to validate out-of-theater Korean War era casualties—nor, do I believe, it wants to! 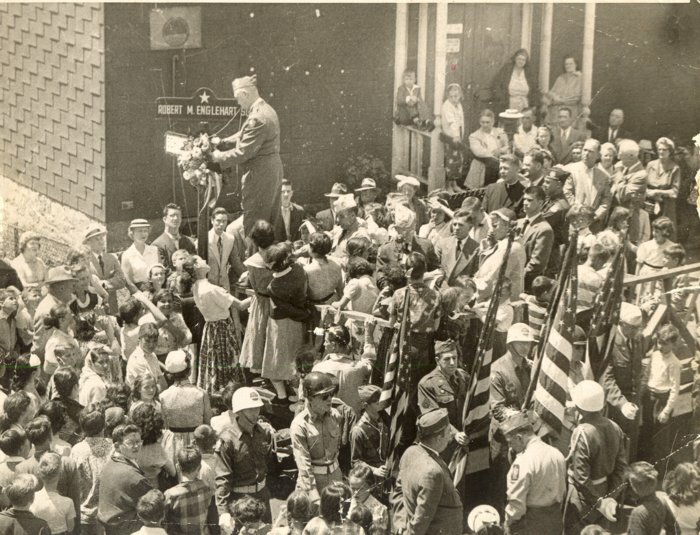 After the armistice was signed on July 27, 1953, the shooting did not stop. Another 641 Americans (included in the 36,913 figure) would die in Korea through January 31, 1955, mostly Air Force. The evidence shows that there were others, though not recorded. And from February 1, 1955 through 1995, another 98 Americans (that we know of) would die in Korea on or near the Demilitarized Zone (DMZ), in the air, and on the water from "Hostile" and combat-related actions. The primary goal of this study is to present the statistical story of the Korean War era as it appears to exist. I have put down the facts as I have found them, and I have made a few analyses based on what I have found. With respect to the history and politics of the Korean War, I have found that everyone has his or her own interpretation. The statistical story, however, is a story that continues to be relatively unknown to the general public, and generally unclear to the Korean War veteran community at large. Most of the information in this study has been gleaned from official sources, some of it has been given to me by Korean War veterans across the country who believe, as I do, that the story needs to be told; it is by no means the bottom line. The MIA data is in a constant state of flux as new information is received, and we learn of new revelations from our government. It is my intention, however, to keep on top of the project as best as I can and make any necessary important changes as they are learned. Your help is always appreciated and I would like to hear from you about any additions, corrections or suggestions to make this study a better work (if you send information, please cite sources—better yet provide copies). Feel free to contact me at CavKVet50@aol.com. In this study, I also relate just how difficult a task it is to dig up diverse facts and statistics (as they are officially presented) and consolidate them into one place. An exclusive feature of this work is Appendix I. For the first time in one place anywhere, the names of 2,392 Army "Non-Battle" dead in Korea between 1950-1955 are listed in one roster. Also included is a list of names of probable war casualties that do not appear in the official files given to me. In addition, the names of the 98 post-war casualties in Korea are listed in just one roster. The story that unfolds in the following pages is as I found it, and by no means should it be considered the bottom line. There is a lot that we don’t know, and a lot that the government will not reveal to us. One of the most troublesome areas for me personally is believing the Army’s accounting for all of its casualties, despite everything that has been released to the public. 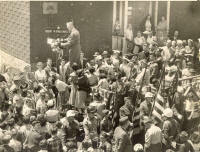 The reports by Generals Mark W. Clark and Matthew B. Ridgway after the war, that they believed that 8,000 Americans, mostly Army, [included in a total of 11,622 UN POWs] had been deliberately "murdered" by the Communists, tend to make me somewhat skeptical about the official numbers. Also disturbing is the claim by some that MIAs were reclassified to KIA-BNR ("Body-Not-Recovered"), not because there was any information that they had died, but solely because it was cheaper to pay death benefits than to continue them as MIAs. How many were so reclassified is not clear; but, my study shows that 535 POW/MIA deaths were reclassified to KIA and another 34 were reclassified to Died of Wounds between 1954 and 1994. We don’t know the deep, dark secrets and that is a problem. But, we must know what happened—so we must keep digging! Hopefully, this work will stimulate more thought and research—and ultimately, more truth. Q: "Mr. President, everybody is asking in this country are we or are we not at war? A: "We are not at war. The members of the United Nations are going to the relief of the Korean Republic to suppress a ‘bandit raid’ on the Republic of Korea." Q: "Mr. President, would it be correct under your explanation to call this a ‘police action’ under the United Nations?" A: "Yes, that is exactly what it amounts to." "The origins of the Korean Conflict are more obscure than those of the Punic, Pyrrhic, or Peloponnesian wars—more is known today of the maneuverings that led up to Alexander’s invasion of Persia more than two millennia ago." - Russell Spurr "Enter the Dragon"
- General Mark W. Clark "From the Danube to the Yalu"
"If we were a people who remembered and we required such honesty from Government, we would not be simply a nation indivisible. We would be a most formidable people; we would be indestructible." - Richard Savero & Lewis Milford "The Wages of War"